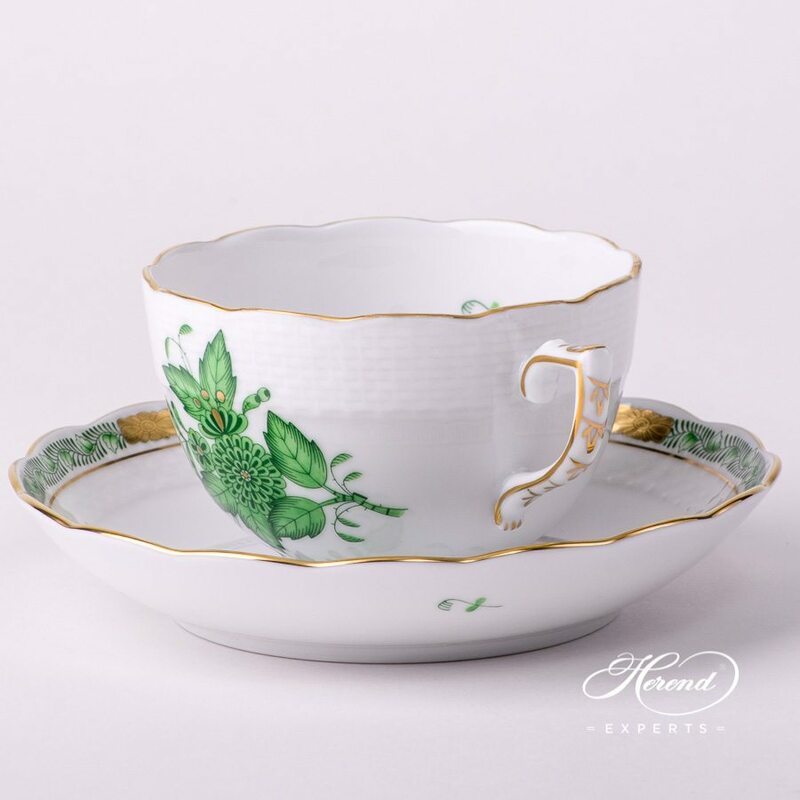 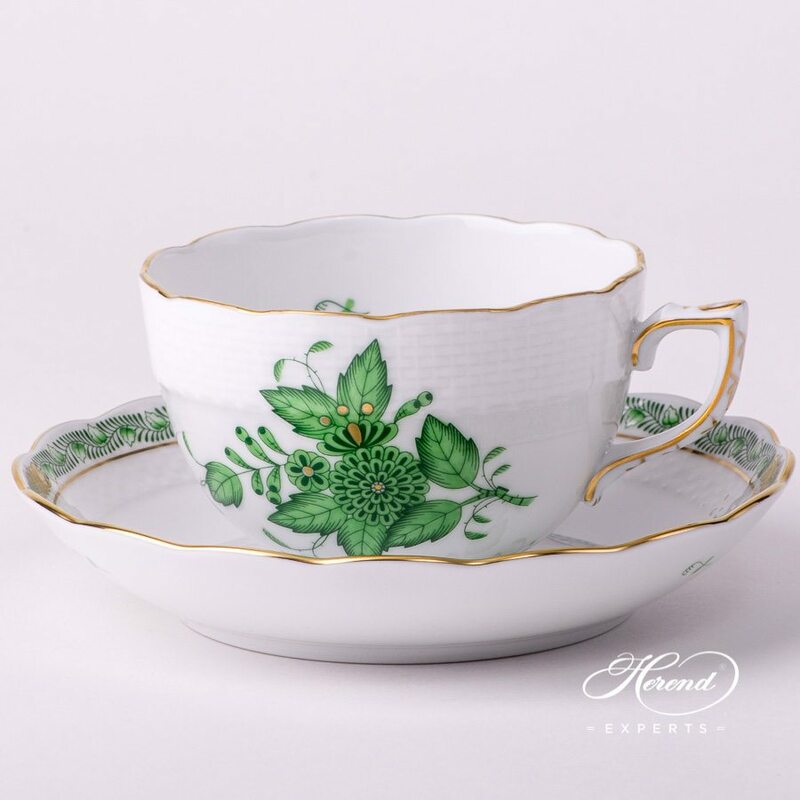 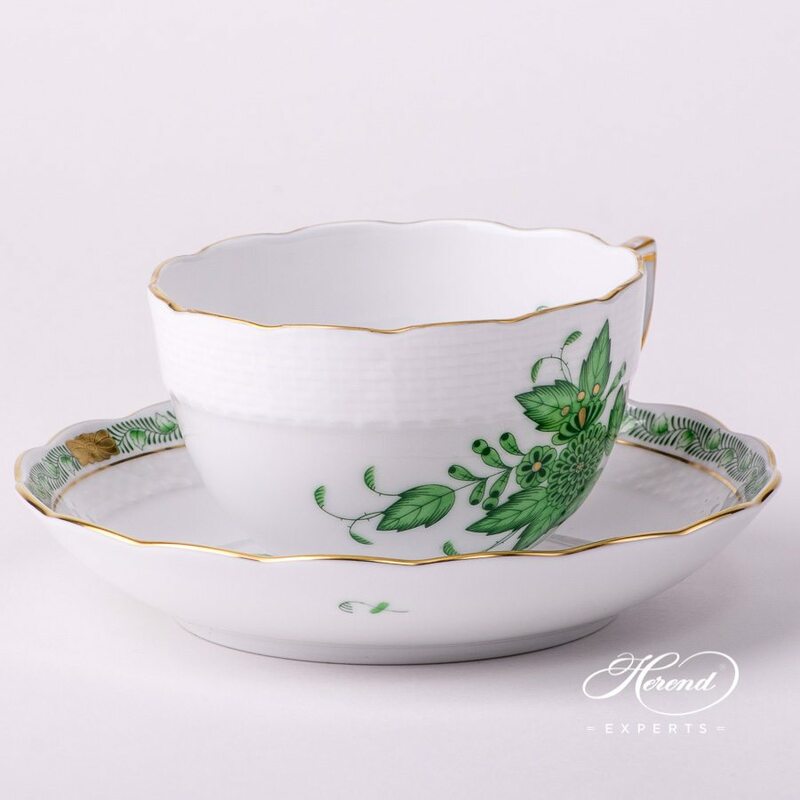 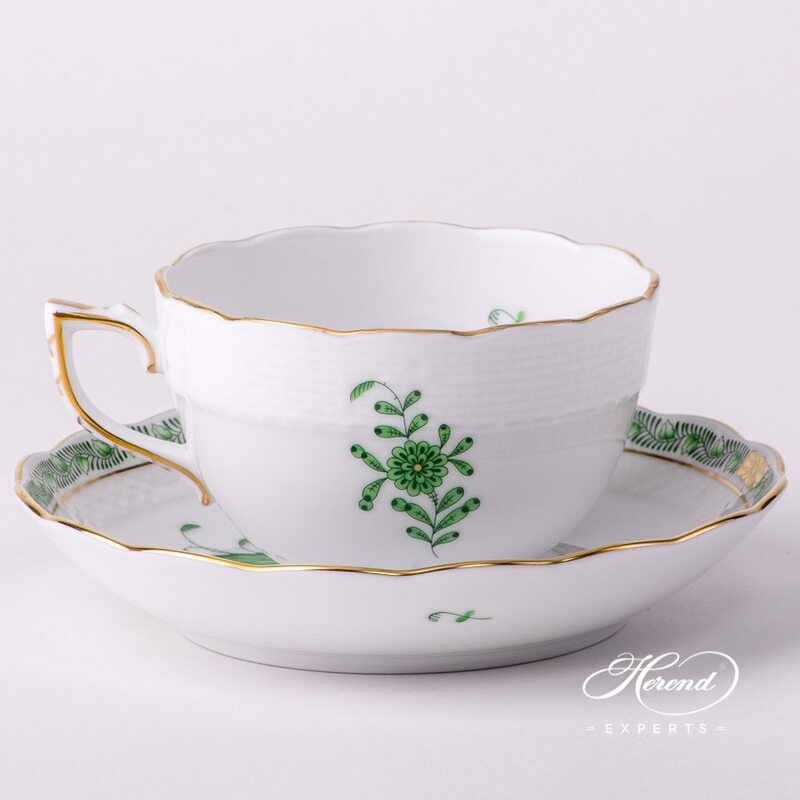 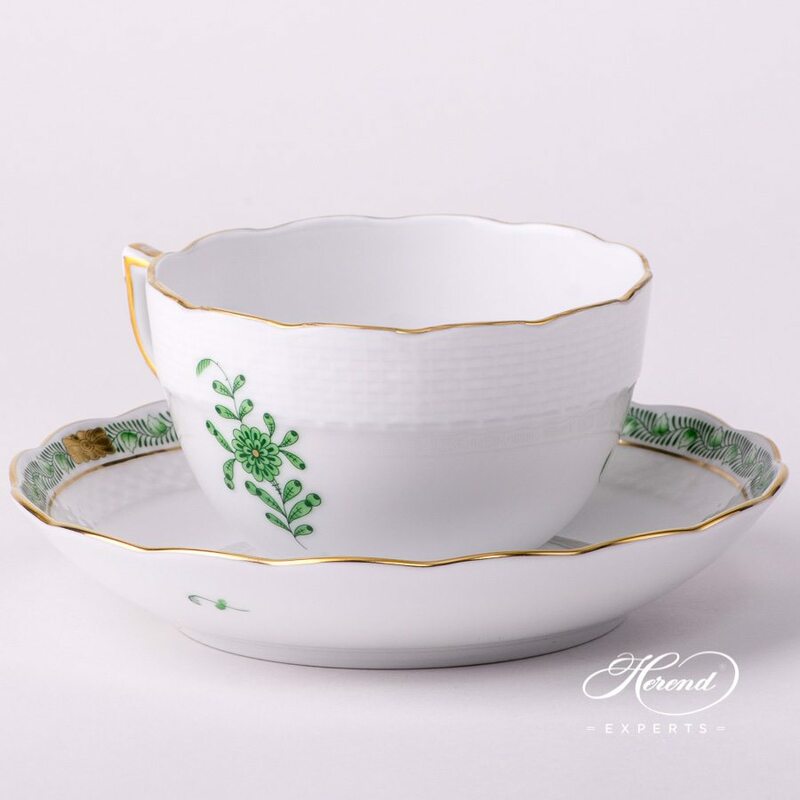 Herend porcelain Tea Cup with Saucer - Herend Chinese Bouquet Green / Apponyi Green pattern. 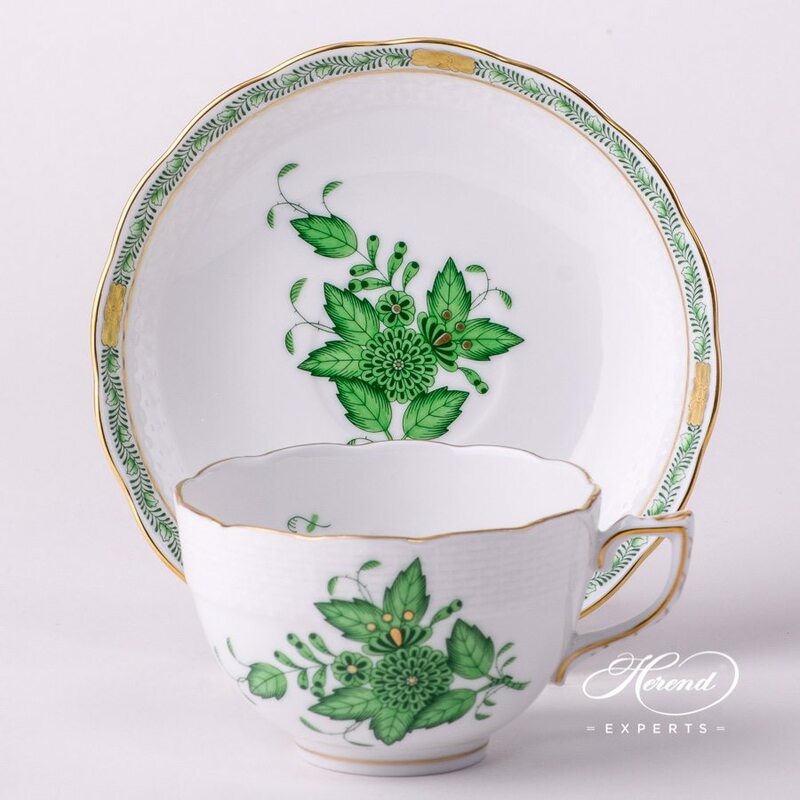 Apponyi pattern also known as Chinese Bouquet. 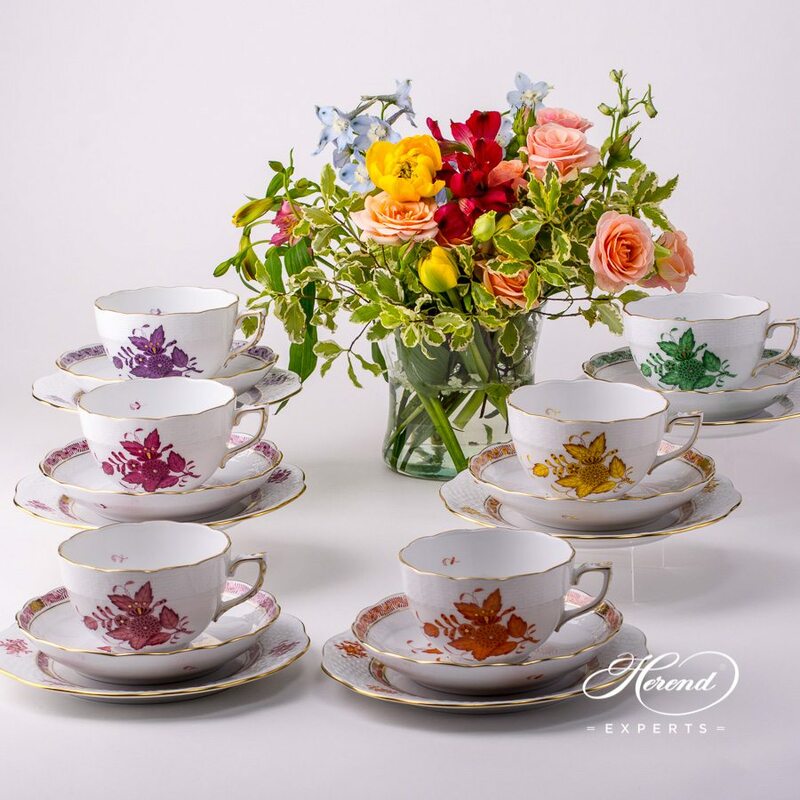 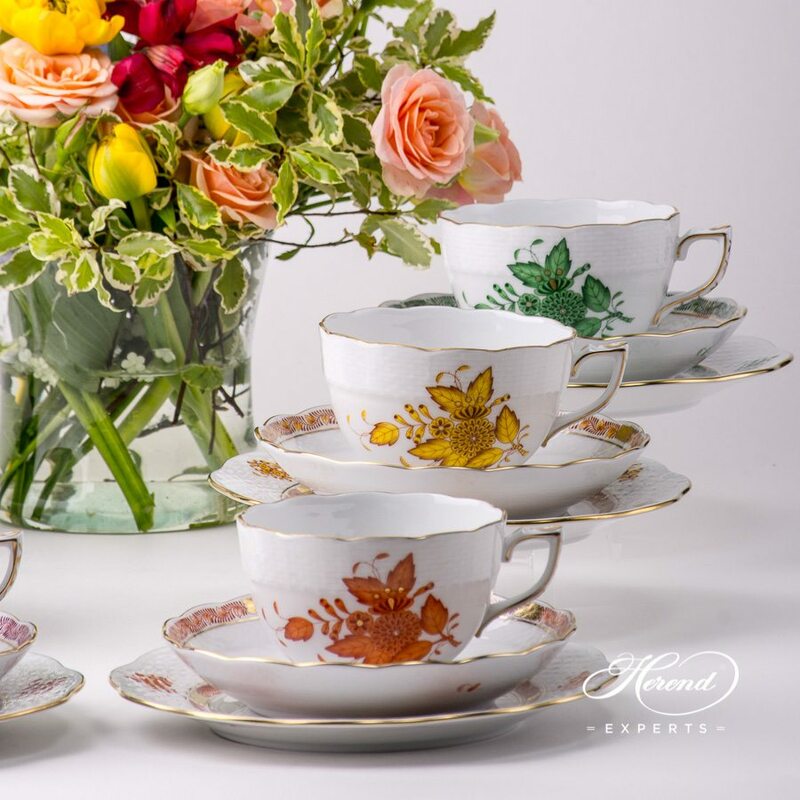 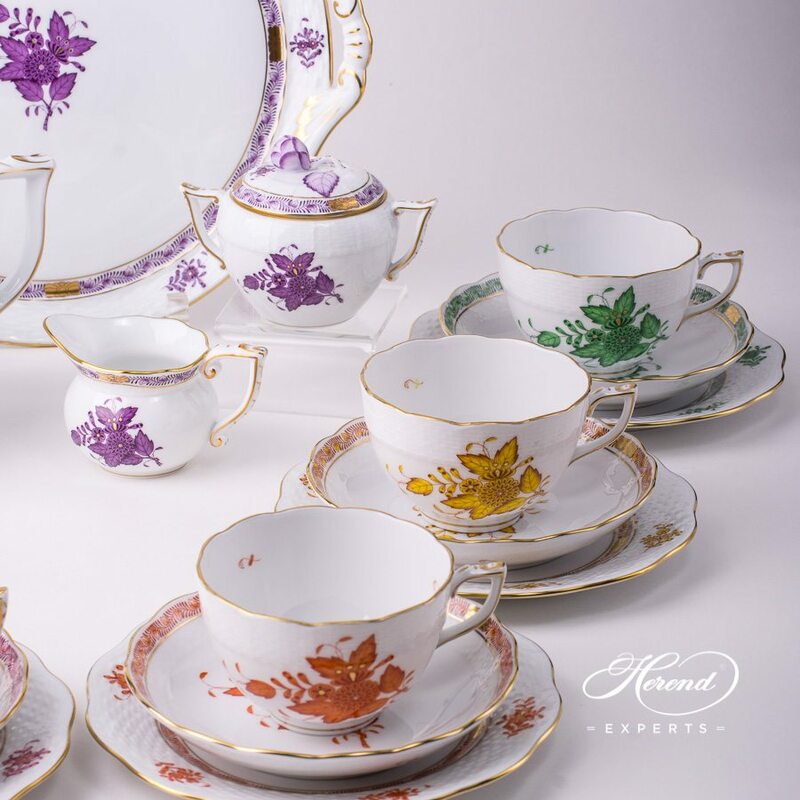 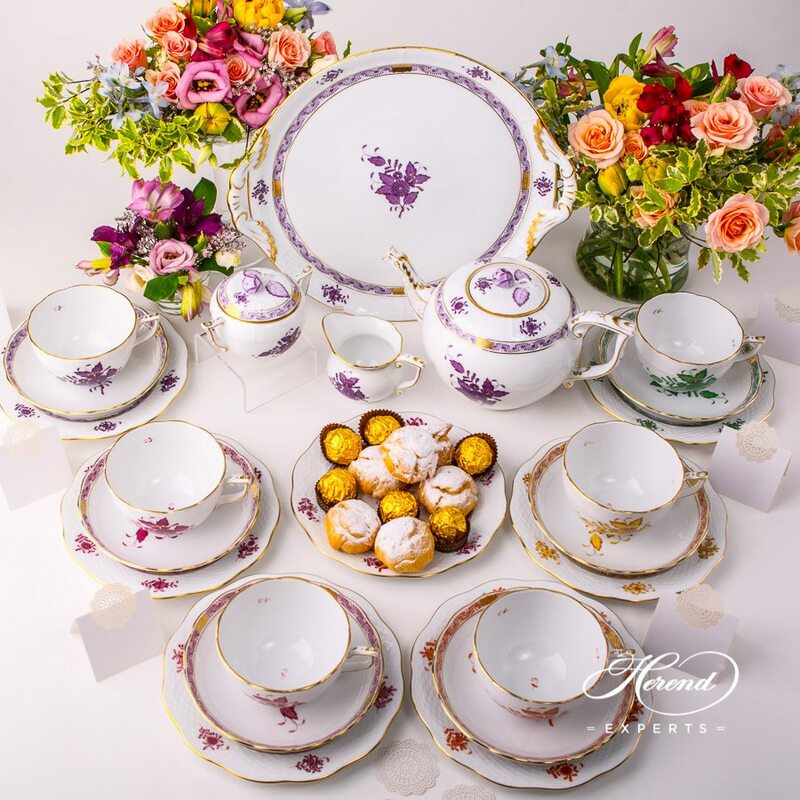 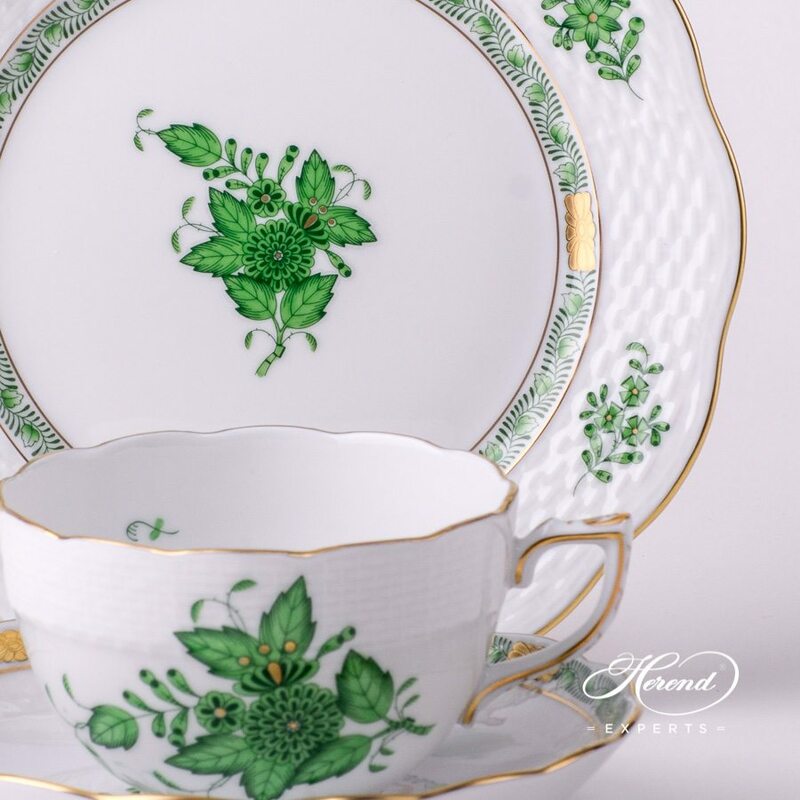 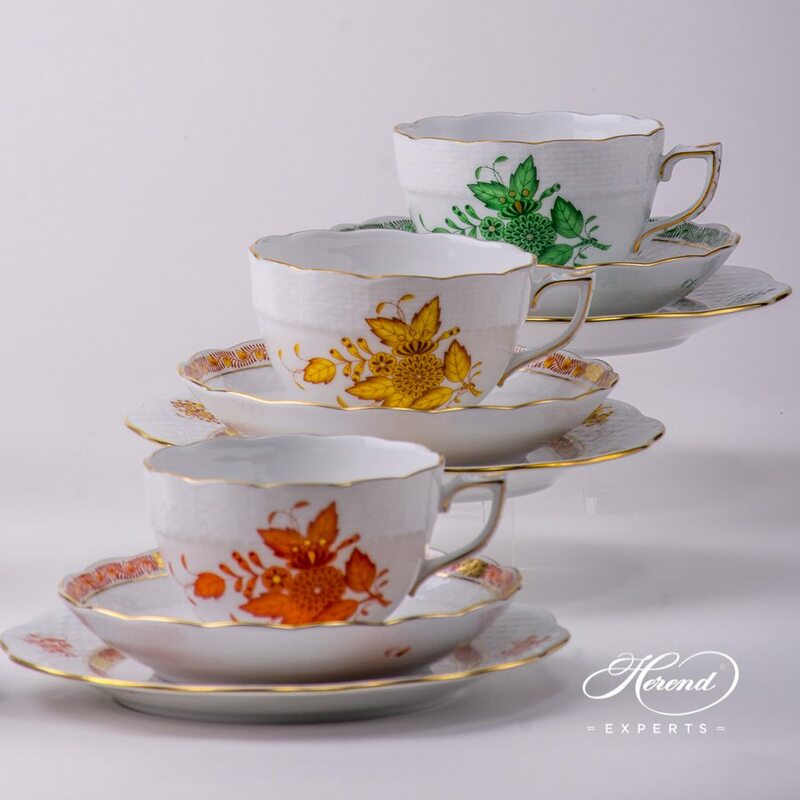 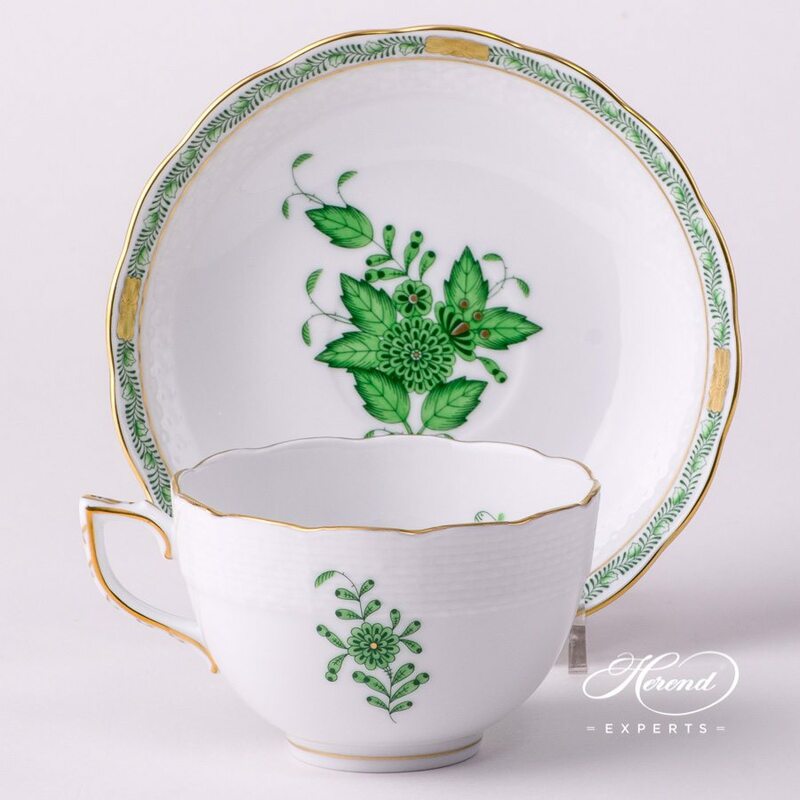 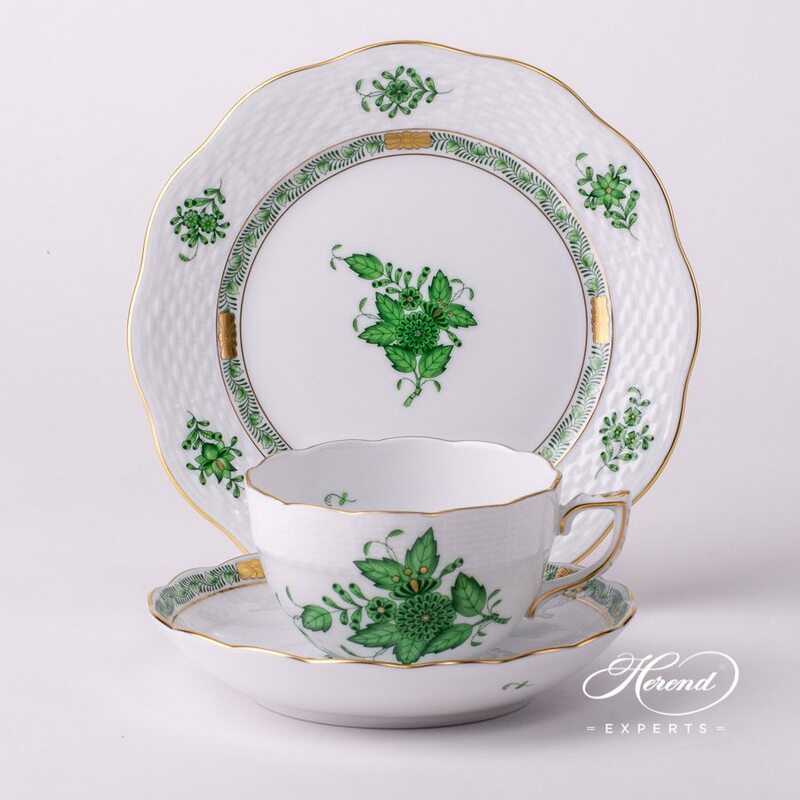 The Apponyi Green decor is available in Tea, Coffee, Espresso and Dinner Sets as well.